Well after 2 weeks of travelling felt like a session on the Mersey was in order. No lug at the tackle shop so squid/bluey and mussel it was. 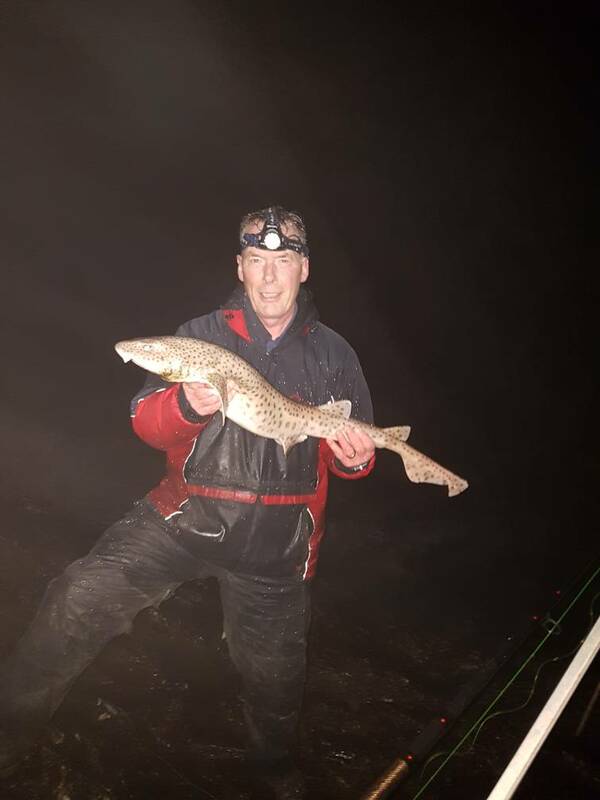 Fished from 4-7.30 (HT 7.15) and met Gazz3r who had landed a nice 3lb codling just before I arrived. Managed 1 whiting and a codlett ( 1/2lb at best) with bluey by far the best bait. Good thing about using 85lb braid was I retrieved a lot of lost rigs from other anglers. Also braid doesn't snag as much with floating weed so all good. Looking forward to the summer after some of the sessions Gazz3r was telling me about with the rays and spurdogs. However must be a cod or 2 left in the river. Anglesey Rays, Rock Channel Smoothies, we were having a convo about spurdogs up in Scotland. GAZZ3R wrote: Anglesey Rays, Rock Channel Smoothies, we were having a convo about spurdogs up in Scotland. When were you in Scotland ? Ah sorry. I thought you were talking about spurs at Otters. Haven't been to Scotland fishin Kev, we were just talking about it. Big Kev wrote: When were you in Scotland ? Yes Gazz3r and I were talking about smoothhounds in Loch Etive and also cod on east coast of scotland. Went back to the prom yesterday and not a sniff|!! Nae midges when it's blowing. Avon Skin so Soft is the business to keep these wee beasties under control. They are always looking for fresh southern meat though!! and near eaten alive by the pesky midges that same day we packed up and headed home it was unbearable.